Brushstrokes are improved through automatic experimentation. 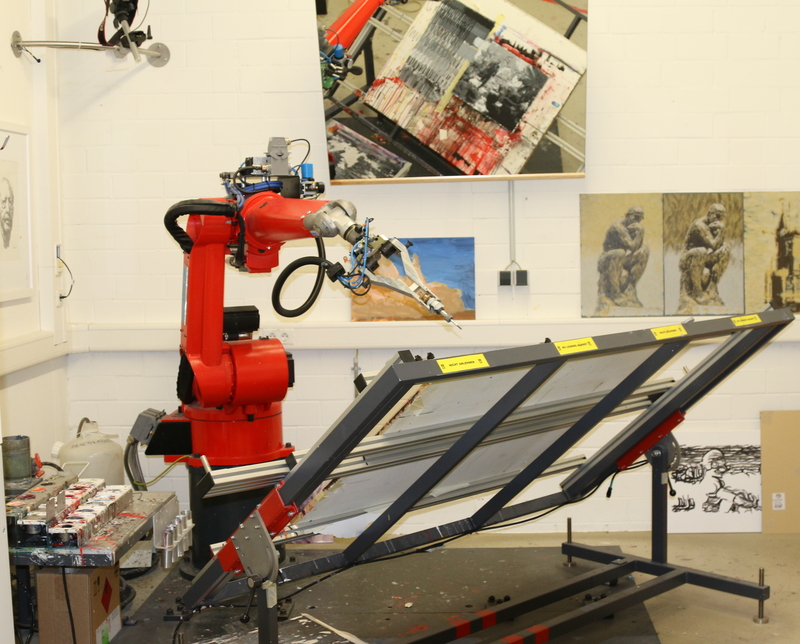 Painting robots, like e-David, are currently unable to create precise strokes in their paintings. We present a method to analyse given brushstrokes and extract their trajectory and width using a brush behaviour model and photographs of strokes painted by humans. Within the process, the robot experiments autonomously with different brush trajectories to improve the reproduction results, which are precise within a few millimetres for strokes up to 100 millimetres length. The method can be generalised to other robotic tasks with imprecise tools and visible results, like polishing or milling. 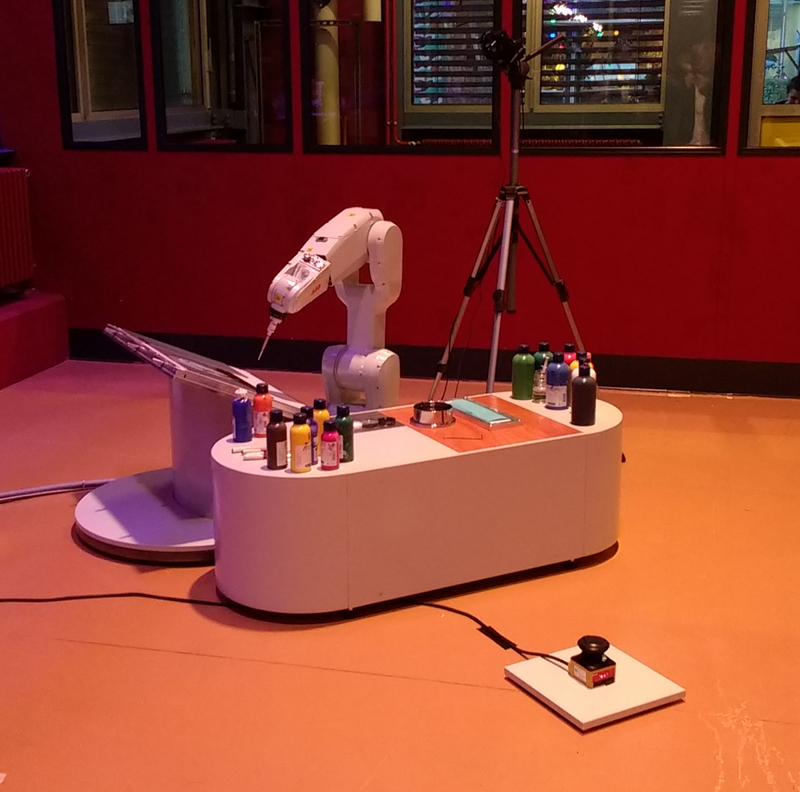 The mobile demonstration robot on an exhibiton in Zürich. A piece of human writing. An automatic reproduction of writing, as produced by the robot.